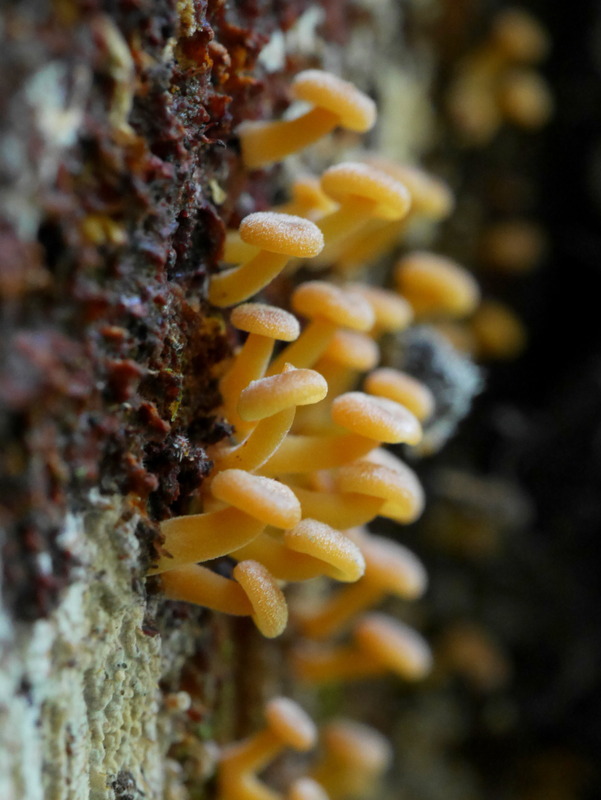 These adorable gregarious fungi are found on rotting coniferous logs in wet forests throughout North America (presumably). These specimens were only just starting to grow, but would likely end up covering the entire wet bottom half of this downed spruce log. Their caps, when fully mature, will measure no more than 2cm across and have a white spore print.